A couple of weeks ago, thanks to my friends Tony and John, I was able to do something I'd dreamed about since moving back to NC — relic hunt at Bentonville. Bentonville was the last battle of the Civil War in the Old North State, the denouement of Sherman's Carolina's Campaign, and prelude to Johnston's surrender of 80,000 Confederate troops to Sherman at Bennett Place in Durham three and a half weeks later. 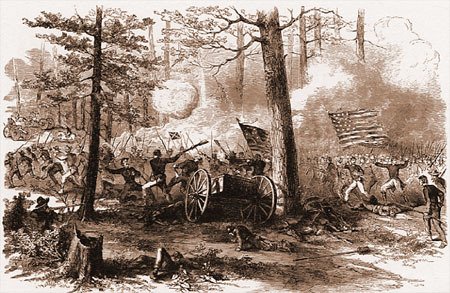 It was a battle where an overconfident Sherman committed tactical and strategic mistakes causing him to understate Bentonville's significance in his Memoirs and characterize it as a mere skirmish, devoting only 4 pages to the battle, and leading subsequent historians to also gloss over a ferocious, historic battle fought by approximately 60,000 Union and 20,000 Confederate troops. Sherman went so far as to downplay Johnston's own account of the battle writing, "After the first attack on Carlin's division, I doubt if the fighting was as desperate as described by him [Johnston]." This was modus operandi for Sherman. The Carolinas Campaign undoubtedly catalyzed the end of the War and was a masterful achievement of organization and logistics on Sherman's part. But throughout his career, Sherman's track record when it came to fighting against organized armies, even those as young as Johnston's at Bentonville, was less stellar than his attacks on citizenry and property. I'll cover this topic in more detail in a future blog post. On the day we hunted, the weather was perfect and we all ended up in shirt sleeves. The land in Bentonville is flat and the soil is extremely sandy. A shovel dropped blade first into a plowed field will penetrate a good 5" into the soft ground. Surrounded by stands of cotton under a huge expanse of blue skies, we made our way into a field where, in March 1865, the left wing of the Union army had their main encampment. The site soon began to yield treasures unseen since those three days of fighting. The first good signal I got on my e-Trac detector was a Williams Cleaner bullet. This was followed by another that retained its zinc washer. 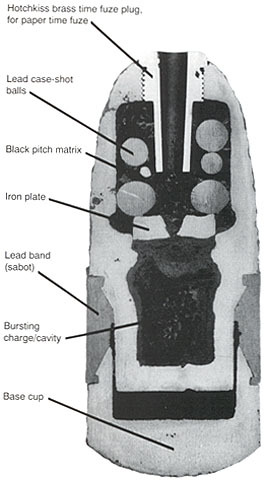 The zinc washer at the base of a Williams Cleaner was designed to expand upon firing and it literally scraped the bore clean of black powder build up. 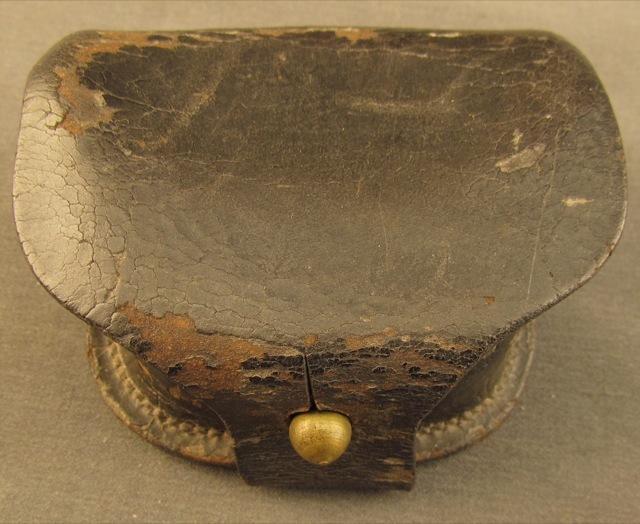 Black powder fouling was a constant issue for combatants throughout the War. 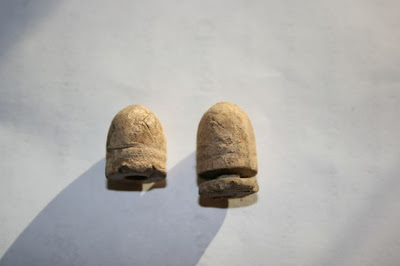 Cleaner bullets were issued to Union troops in the ratio of one cleaner to every 15 or so normal bullets. These particular bullets appear to be Williams Cleaner-pistol carbine Type III variants with a .575 diameter. 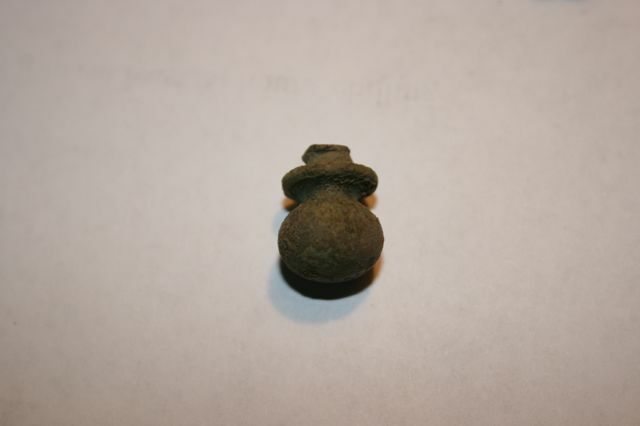 My next find was a brass cap box finial. Finials such as this one were mounted on the base of a leather case that each soldier wore and which contained his supply of percussion caps. 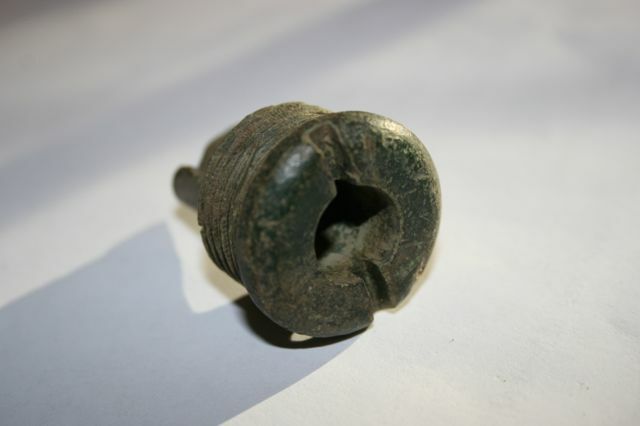 The finial served as part of the closing mechanism of the box flap, designed to protect the caps from water damage. Here's a photo from a non-dug box showing how it would have appeared to the soldier who used it. My best find of the day, yet another first for me, was a brass artillery fuse. 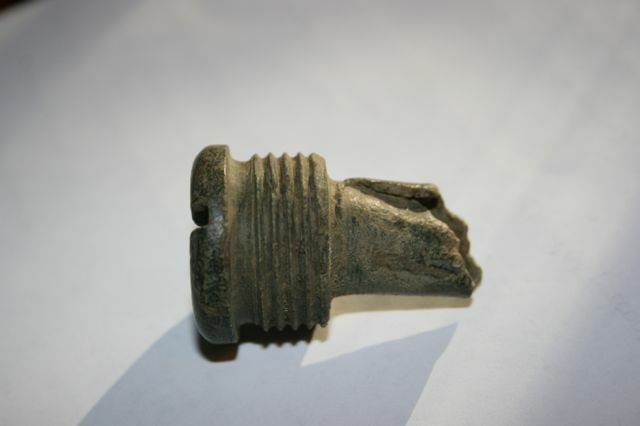 This particular fuse was from a 3" Hotchkiss shell. Union artillery had retreated to a position near where it was found on day 3 of the battle. It's fairly remarkable that, since March 21 1865, no one had come across this rather large relic especially given the benign soil conditions of Bentonville. But it's especially gratifying to be able to discover and preserve a relic with such a specific and certain provenance as this. Given the condition of this fuse, it's difficult to say whether it came from an exploded shell or whether it was dropped and subsequently damaged. 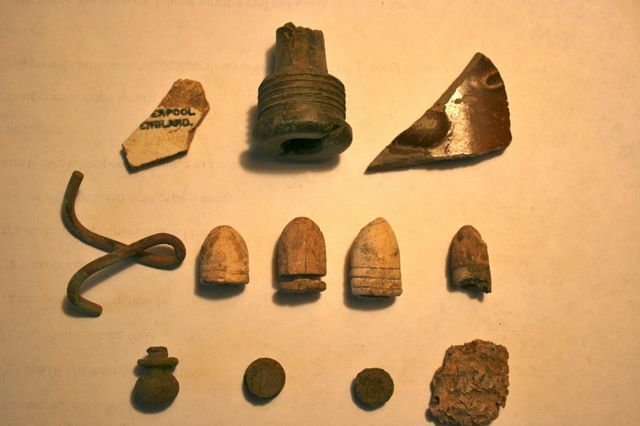 The 3" Hotchkiss was the most common Union projectile, but it was a widespread practice during the War for Confederate troops to recover and use unexpended rounds from the field. Here's the day's finds. Not too bad considering the field had been extensively hunted for years. Special thanks to the gracious landowner who made it possible for us to discover, preserve, and share these relics—all that remain of those 3 tempestuous days in March when so many Americans died for their cause. For excellent primary source accounts of the Battle of Bentonville, see War of the Rebellion: A Compilation of the Official Records of the Union and Confederate Armies Vol. 47, Parts 1 & 2. For a recent analysis, I highly recommend Mark L. Bradley's, "Last Stand in the Carolinas: The Battle of Bentonville."